Strike out or strike back: Does Liverpool's Man United test come at the worst possible time? Jose Mourinho’s men have enjoyed an upturn in form, while the Reds have lost their early season shimmer. Is Sunday's game one to dread or dream about? Ninety days after Manchester United paid Liverpool the greatest possible compliment by utilising their expensively assembled squad in an obstructive rather than ambitious approach in a goalless draw at Anfield, Jurgen Klopp will lead his side out to a completely different prospect at Old Trafford. Zlatan: I taught Mkhitaryan how to do the scorpion kick! For all Jose Mourinho’s protestations that his opponents were not “the eighth wonder of the world”, his surrendering of the attacking initiative for an uber-disciplined defensive strategy said much about the standing of both clubs at the time. Liverpool had already ousted Arsenal at the Emirates, handed Antonio Conte his first defeat as Chelsea boss at Stamford Bridge and outplayed Tottenham in a 1-1 away draw. An off afternoon at Burnley had been the only hiccup of the season for the Merseysiders, while United were undone by Manchester City and Watford, before having to settle for a point at home to Stoke City. Mourinho’s focus on damage control may not have been true to his side’s traditions, but it was the correct call in the circumstances for the October meeting. Three months later, though, the picture has been somewhat altered. 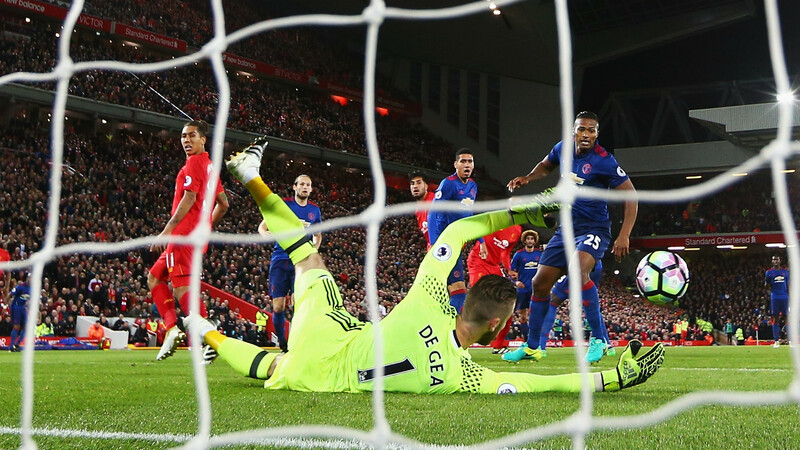 United, on a nine-game winning run, are no longer disjointed or serving up the kind of football that saw both David Moyes and Louis van Gaal vilified. They have struck twice or more in the last seven fixtures, and have only let in three goals during their streak. Whereas in October, it seemed as though Mourinho didn't know his best team, he now has a system in place built around Zlatan Ibrahimovic and the attacking support in behind, while Michael Carrick's inclusion has increased the quality of possession and protection with Ander Herrera alongside him. Their forward play is more varied courtesy of Henrikh Mkhitaryan’s class and Juan Mata’s creativity, with speed on offer through Marcus Rashford, Anthony Martial and Jesse Lingard - to a lesser extent. Wayne Rooney, meanwhile, is one goal short of surpassing Sir Bobby Charlton atop United’s all-time goalscoring chart. 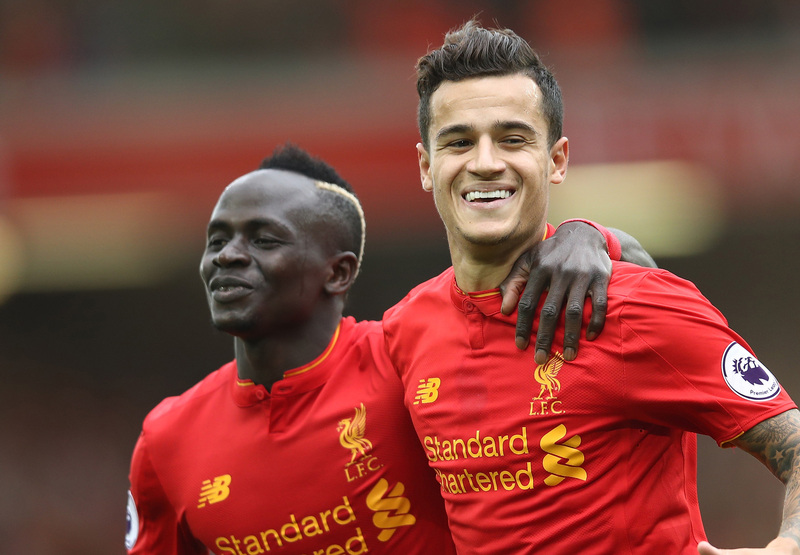 “They are better, more used to each to other I would say,” Klopp’s assessed at Melwood on Friday. “I think Mkhitaryan is an important example of that. I don’t know if he was injured or not in the squad when they played us, and it took a little time, but now they can obviously use his quality. Liverpool, too, are modified from the last encounter. In the seven encounters prior to hosting United at Anfield, they had fired in 22 goals. The same sequence this time has produced half as many. Sadio Mane, an important weapon in stretching defences, quickening the transition play and unsettling the opposition rearguard, is fulfilling those duties for Senegal as kick off for the African Nations Cup approaches. Klopp’s “international class” No. 6 Jordan Henderson has struggled with a heel issue, disrupting Liverpool’s balance and ability to properly dominant a game offensively and in terms of organisation, while Philippe Coutinho is not at 100 per cent after returning from ankle ligament damage against Southampton on Wednesday. Joel Matip, immense at the back, will be hoping to feature in some capacity for the first time since the 2-2 draw with West Ham on December 11 due to a troublesome ankle. While suggestions - picked up by Klopp as well - suggest this showdown comes at an inopportune time for Liverpool, the manager is confident it provides the perfect platform for a strong reaction. Liverpool have not won any of their three games in 2017, drawing at Sunderland before being held to a goalless home draw by Plymouth in the FA Cup, and losing 1-0 in midweek at St Mary’s. 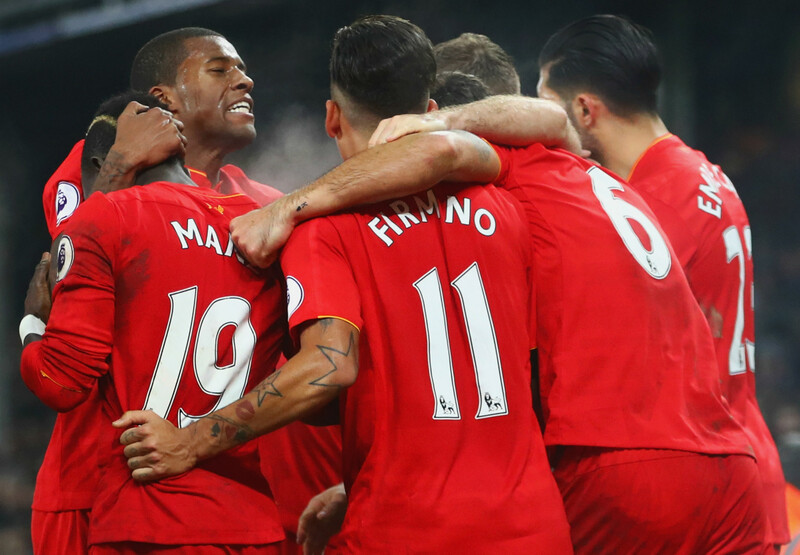 The tussle can serve as the tonic to spark the Reds into their riveting best. “When I woke up in the morning, I thought about why I was in a good shape,” Klopp revealed. “But give me 11 players and we will be competitive. That’s the plan. These are not just some players, they are my players and we know a lot about each other and I know how they react to performances that were not that good. The last game doesn’t make us weaker, it makes us stronger to be ready for this game. “It’s not about being confident before the game, it’s about getting confidence in the game with the right movements, the right kind of defending. That’s what we think about and for this, the last game in not that important. “But if it gives you this last percentage of added greed to fix something, it’s welcome - use it. “We will realise earlier before the game that we are Liverpool, so let’s show this. “We can be different to each other team in the league and that’s what we have to show. Liverpool are not in the habit of cowering against their competitors at the top end of the table, as City, Chelsea and Arsenal have found. Only United and Spurs have managed to take a point off them this season, and in both those games, there is no debate over which was the more authoritative team. Interestingly, while the Reds Devils have been excellent through their winning streak, Mauricio Pochettino’s side were the only true challenge they had to combat. Klopp explained: “In all the games they won before they played us, they haven't playedagainst us again, so what can I say? 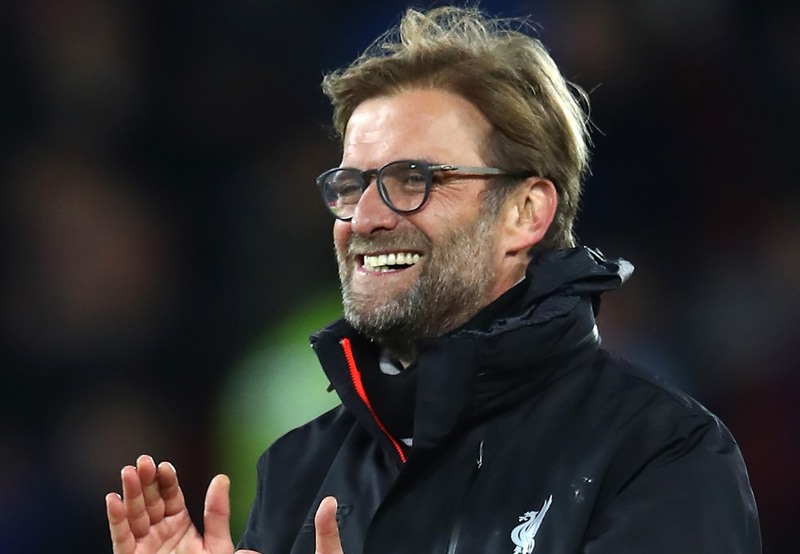 On Sunday, Klopp will want Liverpool to make sure they halt United’s stride, while fully finding their own again.